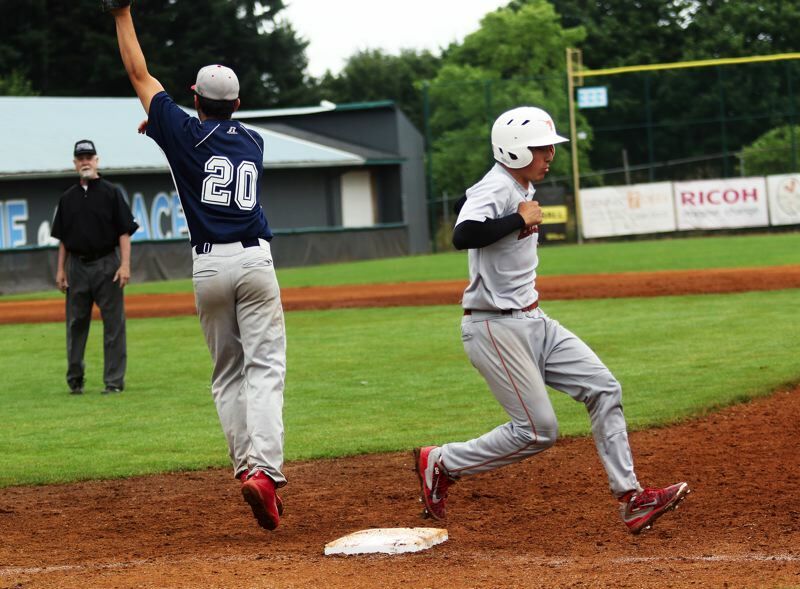 LAKE OSWEGO — The Tigard OIBA baseball team certainly created plenty of prime scoring opportunities. Unfortunately for the Longhorns, they couldn't take advantage of them. Meanwhile, Westview had just one threatening inning — and it made the most out of it. Tigard stranded nine runners on base, twice leaving the bases loaded, as it fell 4-1 to Westview in a Lakeridge Firecracker Classic tournament game, played Saturday at Lakeridge High School. "It was close," said Tigard's Bobby Carter, who had two hits, including a double, in the contest. "A couple of innings, we loaded the bases, but we didn't get a hit when we needed to. We have to capitalize when we get runners on base." 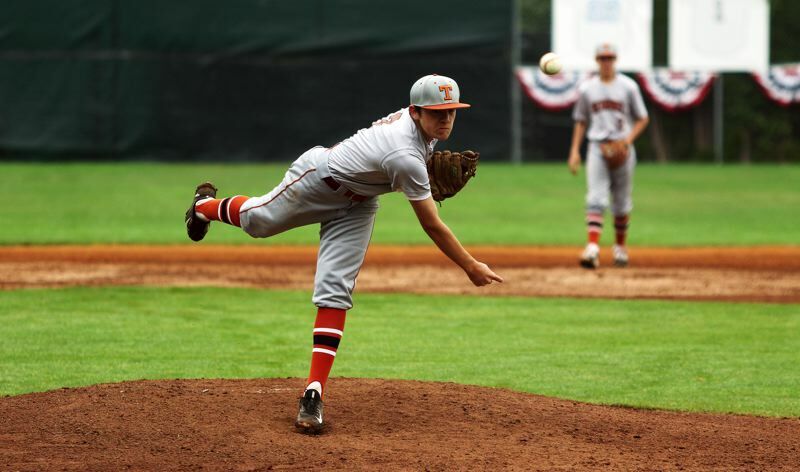 "It went well," said Lance Kreisberg, a Tigard High School junior-to-be, who turned in a complete-game pitching performance for the Longhorns in Saturday's game. "We've been coming back a lot in games this summer, and I thought we could do it again." With the loss, the young Tigard team moved to 17-9 on the summer season to that point. The Longhorns are also 7-1 in Pesky Division league games. "The summer has been really good," said Carter, who also is a Tigard High junior-to-be. "If we keep working hard, we can be pretty good by the time we're seniors." "We feel like we're coming together as a team," Kreisberg said. The Longhorns got off to a fast start in Saturday's game, getting a run in the top of the first inning. Tyler Penn, leading off the game for Tigard, hit a line-drive single to center field. Two outs later, Kreisberg doubled to center field, driving in Penn, giving the Longhorns a quick 1-0 lead. For awhile, it looked like that one run may be enough, as Kreisberg shut out Westview over the first three innings of the game. But that changed in the bottom of the fourth. Tyler Antich, leading off the frame for Westview, drew a walk. One out later. Bo Willoughby was hit by a pitch. J.T. Oliver then reached first base on a Tigard fielding error, loading the bases with one out. Antich then scored from there when Kreisberg was called for a balk, tying the game at 1-1. Willoughby and Oliver would then score when Tigard committed an error on a grounder hit by Even Williamson, giving Westview a 3-1 lead. Williamson would move to third on a single by Josh Moreno, and then score on a wild pitch, upping the Westview lead to 4-1 at the end of the inning. "In the fourth inning, I lost control of my off-speed pitches," Kreisberg said. Tigard tried to battle back right away. Carter, leading off the top of the fifth inning, singled to center field. With one out in the frame, Joey Cavalli reached base on an infield single. One out later, Ethan Clark got to first base on a Westview fielding error, loading the bases with two outs. But Jacob Cox, pitching for Westview, got an inning-ending strikeout to get out of the jam. But the Longhorns were back at it again in the top of the sixth inning. Sam Gerkman drew a walk with two outs in the frame, and the bases empty. Carter followed with a double down the left-field line, with Gerkman advancing to third base on the hit. Sam Pittmon then drew a walk to load the bases. But a foul-out to first ended the inning, with Tigard again leaving the bases loaded. The Longhorns also got a runner on base in the top of the seventh inning, with Clark drawing a one-out walk, but, again, they weren't able to capitalize, as Westview was able to close out the 4-1 victory. Kreisberg gave up four runs (none earned) on five hits, with seven strikeouts and three walks in six innings of work on the mound. Carter went 2 for 2 at the plate with a double to help lead the way for the Tigard offense. Kreisberg went 1 for 4 with a double and an RBI. Penn went 1 for 4 with a run scored. Cavalli had Tigard's other hit in the contest. For Westview, Moreno and Cox each had two hits. Cox also picked up the pitching win, giving up one run on four hits, while striking out eight and walking one. 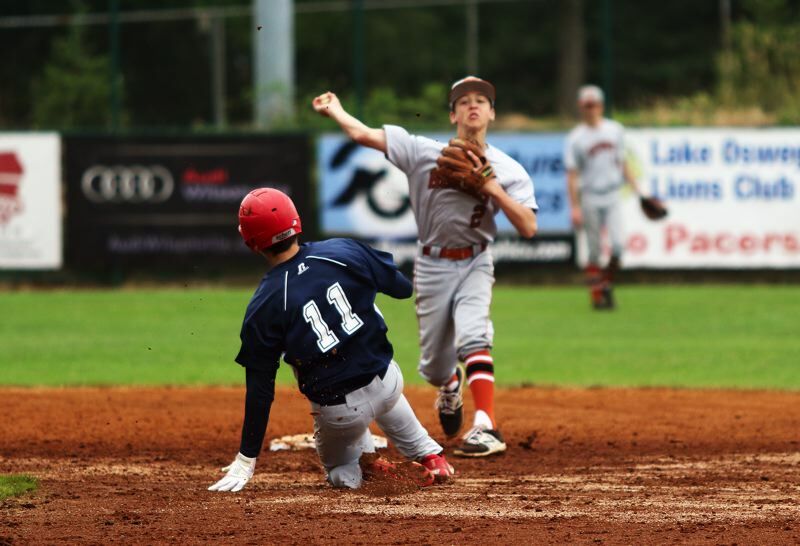 Tigard opened play at the Lakeridge Firecracker Classic last Thursday with a 14-1 loss to Perth, Australia. C.J. Rivers doubled in Clark for the Longhorns' only run in that contest. On Friday, Tigard bounced back to get a 6-5 win over Sandy in tournament play. The Longhorns scored six runs in the bottom of the sixth inning to rally back from a 4-0 deficit to get the win. Rivers had one of the big hits in the Tigard rally, with a two-run double in the sixth inning. He went 1 for 3 for the game with a run scored and two RBIs. Penn went 2 for 3 with a run scored and an RBI. Fletcher Ahl doubled, scored a run and drove in a run. Manny Andrade went 1 for 3 with a run scored and an RBI. Kreisberg went 1 for 2 with a run scored. Pittmon went 1 for 3 with a run scored. Gerkman went 1 for 2 with an RBI. Pittmon pitched the first six innings to get the win on the mound. He gave up four runs (none earned) on six hits, while striking out four and walking two. Tigard finished tourney play Sunday with a 3-2 loss to Lincoln. Rivers went 2 for 4 at the plate in that game, with a double and a run scored. Penn went 1 for 4 with a double and an RBI. Clark scored the other run for the Longhorns, and Ahl had the team's other RBI. Gerkman pitched the first six innings, giving up two runs (none earned) on seven hits, while striking out four and walking two. Tigard was scheduled to host Camas, Wash., in a non-league doubleheader on Wednesday. Results of those games weren't available when the Times went to press. The Longhorns will be back in action on Saturday, when they play at Sherwood in a non-league game starting at noon. On Sunday, Tigard will play in a non-league doubleheader at Wilson, starting at 1 p.m. On Monday, the Longhorns will host Beaverton in a league game starting at 3 p.m.